For the hundreds of thousands of annual visitors to Harpers Ferry this lovely little village is a tourist destination: a scenic and historic spot for exploring, hiking, riding, rafting, learning and maybe even relaxing. Yes, it is all that, but for its nearly 300 residents – including us! – Harpers Ferry is home. So, what is it like to live in a 255-year-old microtown, you ask? After working hard during our first year in Harpers Ferry to get the two guest suites up and running and the garden paths in shape, we have had more time this summer to work on decorating our own living areas. Since most B&B guests don’t get to see the back of the house, we thought we would give you a little peek at the rest of this amazing place. We’ve tried hard to fit the stuff we already owned with the craftsman style of the home. The stained woodwork definitely requires a different decorating look than either of us have ever lived with, but I think we’re getting the hang of it. 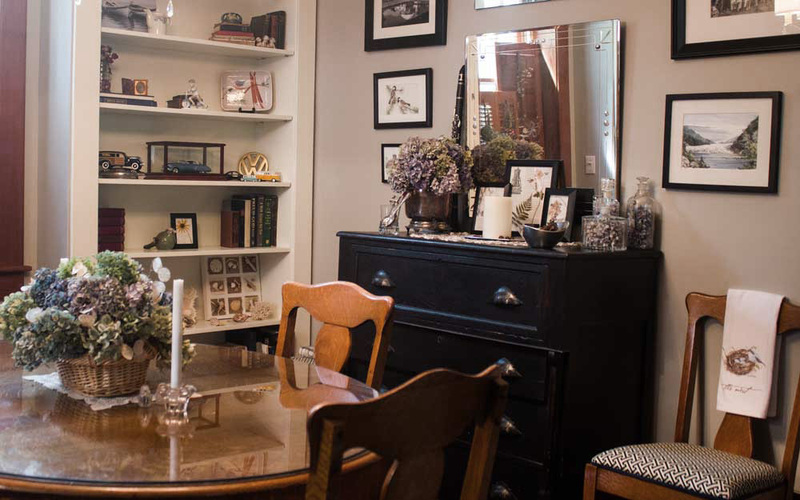 The dining room became the repository for some of our collections. (I think we both might be museum curators at heart.) Also, I just HAD to paint these built-in shelves to brighten up the place. I promised to leave the rest of the woodwork alone. Christian and I love good food, and we love to support local businesses. Want to know which ones we like best? Here is a list of our top five favorite local lunch spots to help you out in case you are looking for recommendations. We actually have more than five favorites, but we’re saving some of the restaurants that also serve dinner for a future post. It’s amazing much can happen in a year! On June 12, 2017, our first official Airbnb guest checked in for a night in our third-story guest suite, Inez’s Sweet Retreat. Jason was bicycling the C&O Canal Towpath, and as he left the next morning he promised to bring his wife back here for a visit (which he did in January). 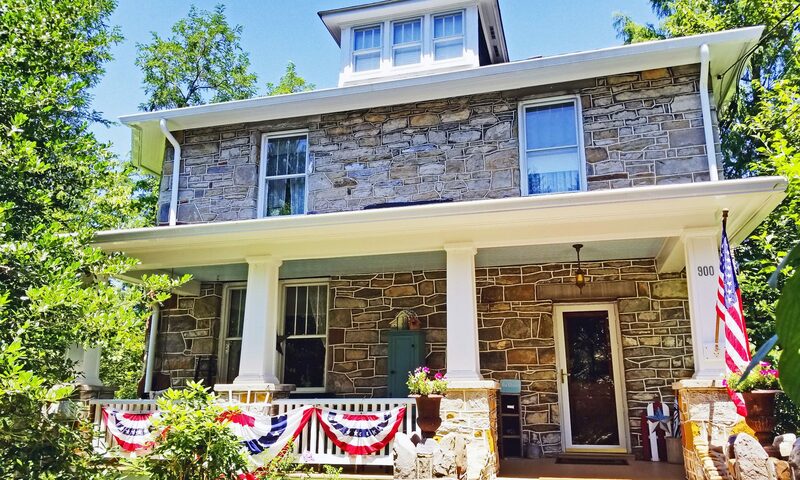 Hosting guests upstairs was a test for us to see how we felt about letting strangers stay in our home – and how Harpers Ferry visitors felt about staying with us. As I wrote in our March post “Surprised by Joy,” it turns out that we love the hospitality business, and the visitors seem to like both the upstairs suite and the newer garden-level space just fine. 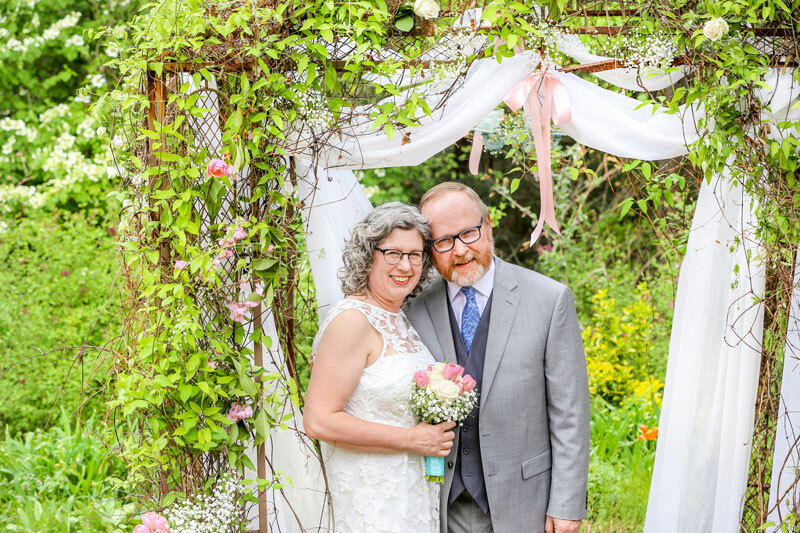 In April 2017 Christian and I tied the knot under a vine-covered gazebo in our beautiful garden, surrounded by 25 dear family members. The day celebrated our commitment to each other in a partnership that has surprised us by working so well on not only a personal level but on a business level too. It’s no shocker that we enjoy living in our lovely old Harpers Ferry home. Why else would we voluntarily sell our houses in Charlottesville and leave behind jobs, churches, and dearly loved family and friends to move here? Despite a few (expensive) inconveniences over the past year, we still can’t believe how blessed we are to live in this place. The thing we did not in any way foresee was the joy that our B&B business would add to our good life together. Maybe we shouldn’t be so surprised, but we are. The New Year started out great for us. January 2 was when the trouble started. Last year was so good – hard, but exciting as we got married and settled into our newly acquired 1927 stone house in Harpers Ferry. I knew something had to go wrong before long, though. A fairytale life does not realistically extend ever after. 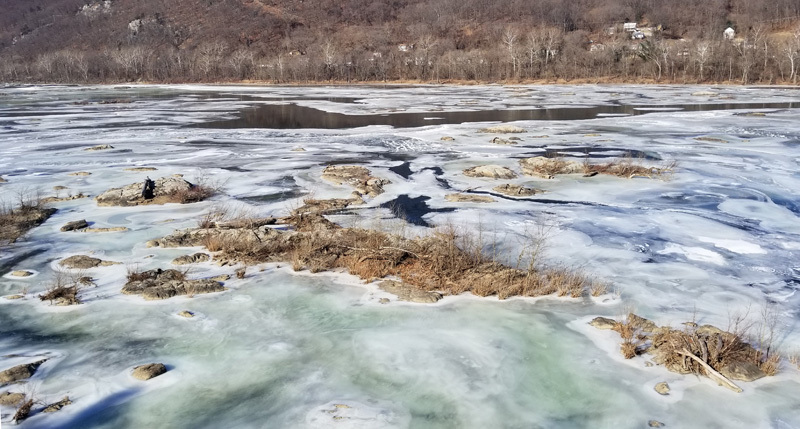 The frozen Potomac last week. Christian and I are so excited to be spending our first Christmas season in Harpers Ferry. 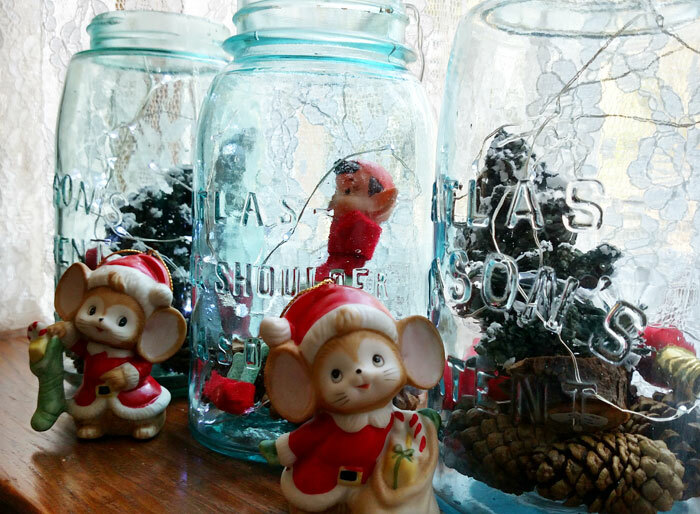 We share a love for this season and both brought lots of holiday decorations to the marriage. Now we are having fun merging our collections and adorning this beautiful house in festive style. 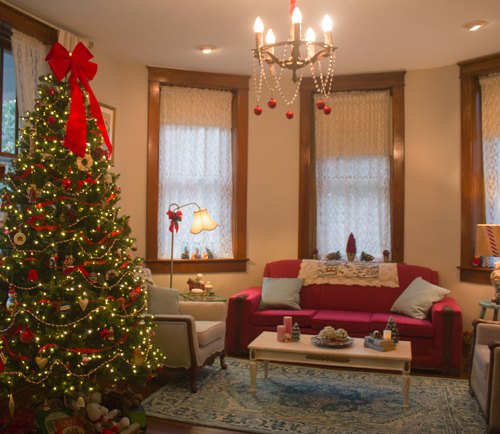 We have an extra special reason to decorate well this year, because we are opening our home to the public during the two weekends of the Harpers Ferry/Bolivar Olde Tyme Christmas. If you would like to visit and enjoy an afternoon Tea Around the Christmas Tree or morning Holiday Brunch, check out the details here. 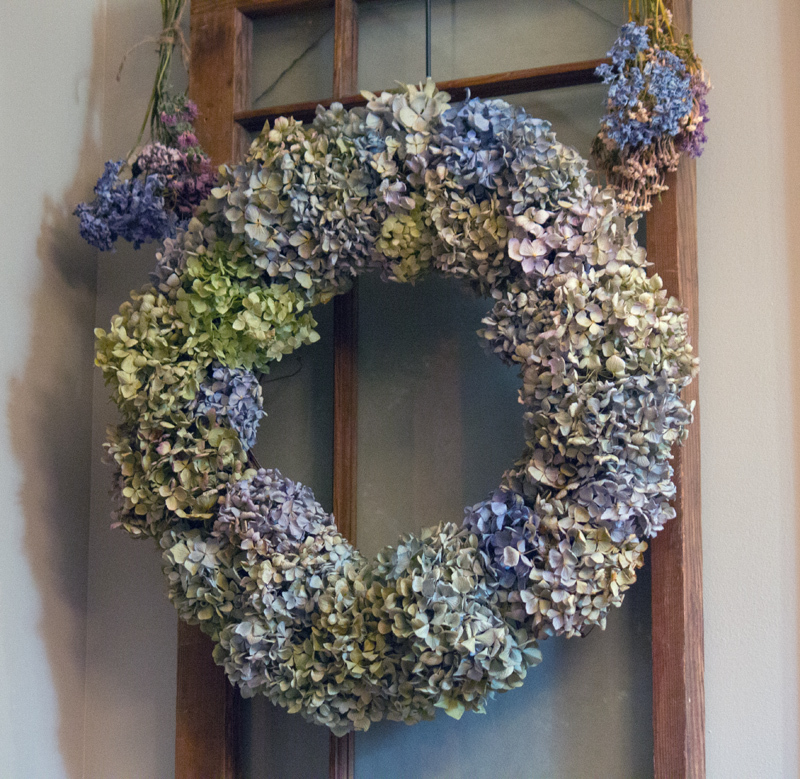 If you are undecided about visiting, we are sharing some sneak peaks in the blog this week.